The cost of paving a new driveway is largely dependent on size, materials and labor and can fall anywhere between fifty cents a square foot and fifty dollars a square foot. When choosing driveway paving materials it is important to compare upfront prices to long-term costs. Some paving materials are very affordable to install, but require regular maintenance and will need to be replaced in just a few years. While other paving materials are expensive to install, they require little maintenance and will last a lifetime. 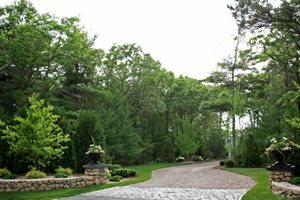 It's also important to realize that since driveways get such heavy traffic they must be durable and strong to be cost-effective. Review this paving comparison chart to learn about the pros and cons and installation requirements of your paving options. Includes information about brick, concrete, flagstone, cobblestone, pavers, decomposed granite and gravel. 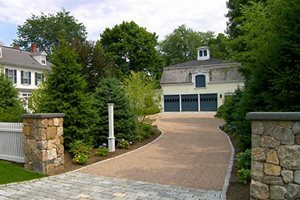 Gravel or decomposed granite is the cheapest driveway paving option. However, it can pose maintenance problems especially in areas with large amounts of rainfall. A stabilizer can be added to keep your driveway from washing away, but this will increase the cost. Asphalt provides an incredibly durable and strong driveway for a reasonable price. However, many homeowners don't like the way it looks. You can opt for a decorative asphalt driveway that is stamped and colored, but the cost will increase considerably. 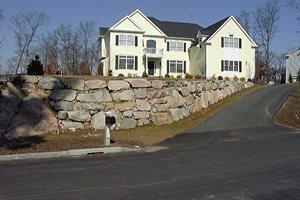 Concrete, the most popular driveway material, is durable and requires very little maintenance. The cost can be quite reasonable for plain concrete, but will increase if you want it stamped and colored. If installed improperly a concrete driveway may crack, so it's worth paying extra for a top contractor. 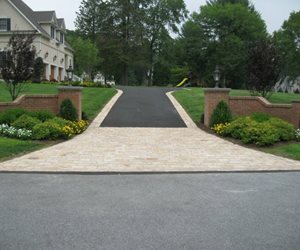 Pavers are a high-end driveway paving option. Since they are installed by hand the labor costs are quite high. 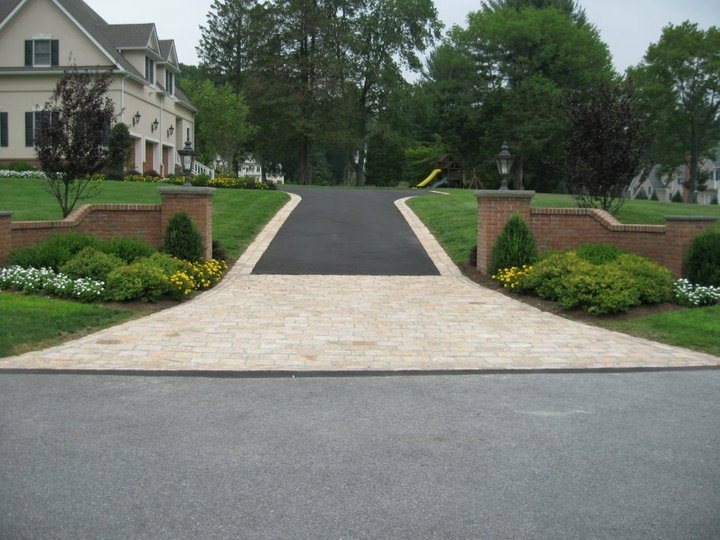 However, a paver driveway is a sound investment because it will provide a grand entrance to your home that will last a lifetime.